Street Plans and Transportation Alternatives are looking to use Tactical Urbanism demonstration projects this summer with the primary goal of creating much safer, pedestrian-friendly streets in the Financial District. Street Plans and Transportation Alternatives led a public workshop on March 2nd with residents living in the Financial District in Lower Manhattan to brainstorm ideas for how Tactical Urbanism could spark catalytic change to their streets. Downtown Express, the local newspaper for Lower Manhattan, published an article covering the workshop. See the full article HERE. The Final Draft of Plan BTV Walk/Bike is Now Available! We’re excited to announce that a final draft of PlanBTV Walk/Bike has hit the streets! This document is Burlington’s first comprehensive plan for walking and biking and it has an ambitious goal: to make Burlington the best small city for walking and biking on the East Coast. Street Plans was thrilled for the opportunity to work on this project for the City of Burlington Public Works with our partners at DuBois & King, Inc.. The plan identifies priority projects for rapid implementation, so Burlington can get started improving safety right away with low-cost quick build materials! Visit the project website HERE to download a copy of the full plan. Street Plans Releases Tactical Urbanism Volume 5: Italy! 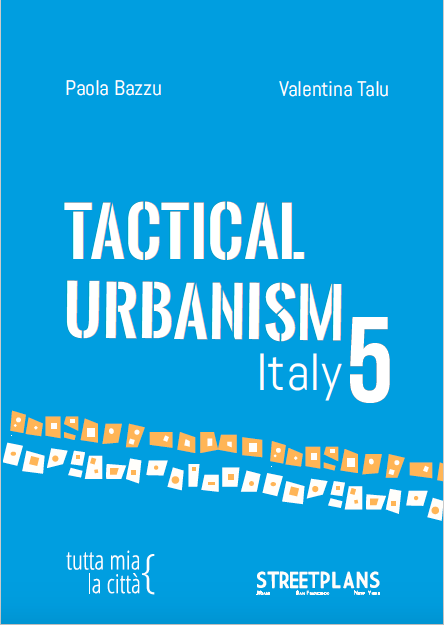 Street Plans is happy to announce the release of Tactical Urbanism Volume 5: Italy, our fifth open source best practices publication on Tactical Urbanism. Tactical Urbanism Volume 5 was led by TaMaLaCà, a planning and design organization based in Sassari, Sardinia, Italy, in collaboration with Street Plans. Volume 5 shares more than a dozen examples of short-term, bottom-up, and community-minded practice taking root across Italy. Of specific interest in this new publication, TaMaLaCà seeks to explicitly include school-age children in the design and production of more usable public space through playful, short-term interventions. The full guide is available to view and download in both English and Italian here and here. Streetsblog recently published an article reflecting upon the Biscayne Green pilot project. Read more about Street Plans’ project in the Tactical Urbanism projects page of our website here. “The city recently received a $422,000 Florida DOT grant to study the removal of some traffic lanes. As part of that effort, the Downtown Development Authority and the Knight Foundation recently teamed up to temporarily transform a large parking area along Biscayne Boulevard into a public space called “Biscayne Green.” It looks like it was an enormous success,” says Angie Schmitt from Streetsblog. 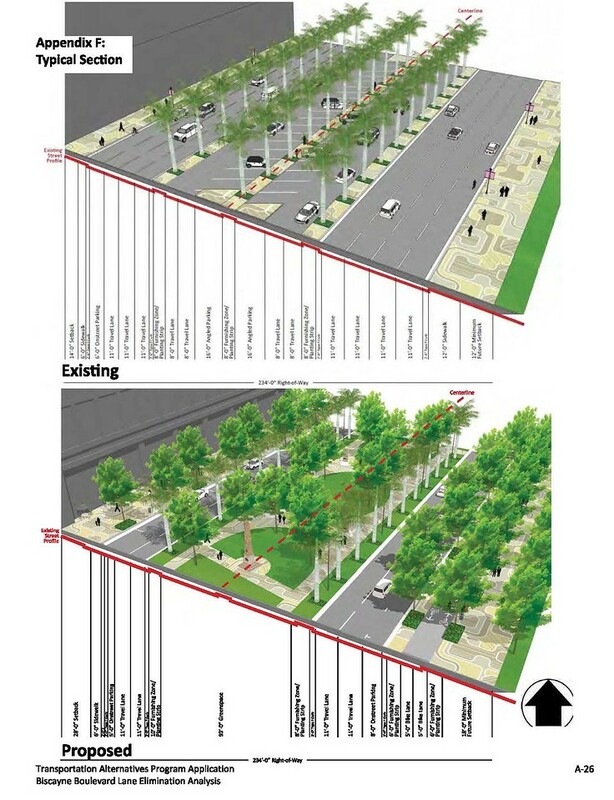 Biscayne Green was the second step in the iterative process to transform Biscayne Boulevard. 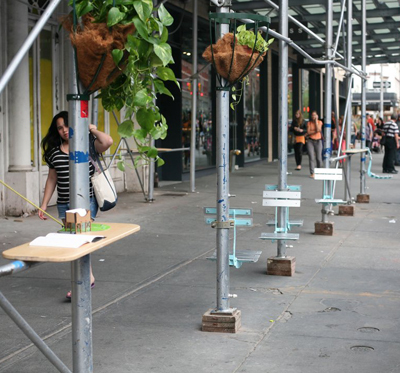 In 2012, Street Plans transformed one parking median on Biscayne Boulevard into public space for one week. In a more robust effort, Biscayne Green transformed two parking medians into public space for three weeks. With now more political and community support than ever before, Biscayne Boulevard is well on its way to becoming a permanent boulevard designed for people. Click here for the full article. West Palm Beach, FL is one of six “Beta City” partners that Street Plans is working with as part of the Tactical Urbanist’s Guide to Materials and Design project. Street Plans delivered a workshop designed to expand West Palm Beach’s familiarity and comfort with planning and executing collaborative demonstration, pilot, and interim design projects. 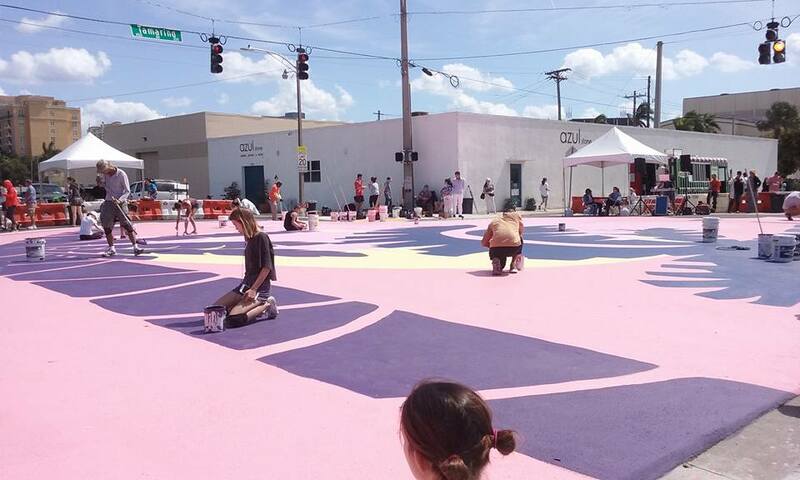 As a result of the workshop, the City of West Palm Beach and Downtown West Palm Beach decided upon a large mural at the intersection of South Tamarind Avenue and Fern Street to beautify the street, slow down cars, and make the intersection safer for bicyclists and pedestrians. Students from Dreyfoos School of the Arts designed the intersection and the City of West Palm Beach implemented the project. Click HERE to see a video covering the project. 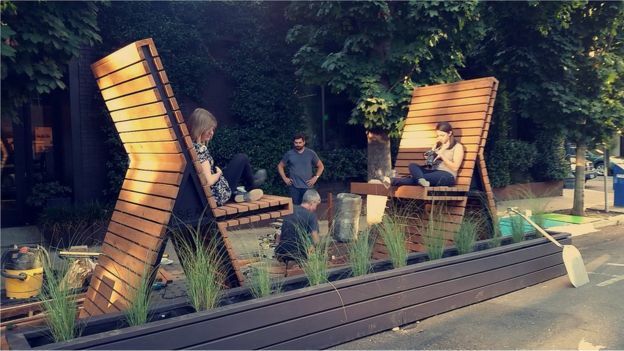 Street Plans’ Principal Mike Lydon was mentioned in a recent article published by BBC that talks about the importance of adequate seating in cities and how Tactical Urbanism can quickly and cheaply add more public space and places to sit.